The world is a broken place in need of healing. We seek health and wholeness in our personal lives, in our bodies, in our relationships. We all want to move from dis-ease into a life of wellness and God wants that for us too! During Lent this year, we have been focusing on how we can find such health and wholeness in all aspects of our lives. 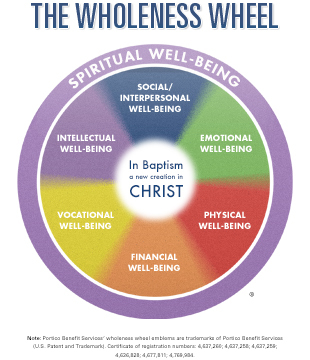 Using the Wellness Wheel as our guide, and trusting that our baptism is at the core of all healing, we will pursue health of body, mind and spirit in various areas of life. This week we conclude our journey by taking a closer look at social and interpersonal wellness. We are created by God to be social beings, living in community and instructed to help and love each other. Yet, at times, this is easier said than done. Social and interpersonal wellness requires hard work and determination. However, the benefits to not only our relationships but overall health are incredible. According to Mayo Clinic, having close friends and family on whom you can count has far-reaching benefits for your health. A strong social support network can be critical to helping you through the stress of tough times, whether you’ve had a bad day at work or a year filled with loss or chronic illness. • Sense of belonging. Spending time with people helps ward off loneliness. Whether it’s other new moms, dog lovers, fishing buddies, or siblings, just knowing you’re not alone can go a long way toward coping with stress. • Increased sense of self-worth. Having people who call you a friend reinforces the idea that you’re a good person to be around. • Feeling of security. By reaching out and sharing yourself with others, you have the added security of knowing that if you start to show signs of depression or exhibit unhealthy lifestyle habits, your friends can help alert you to the problem. 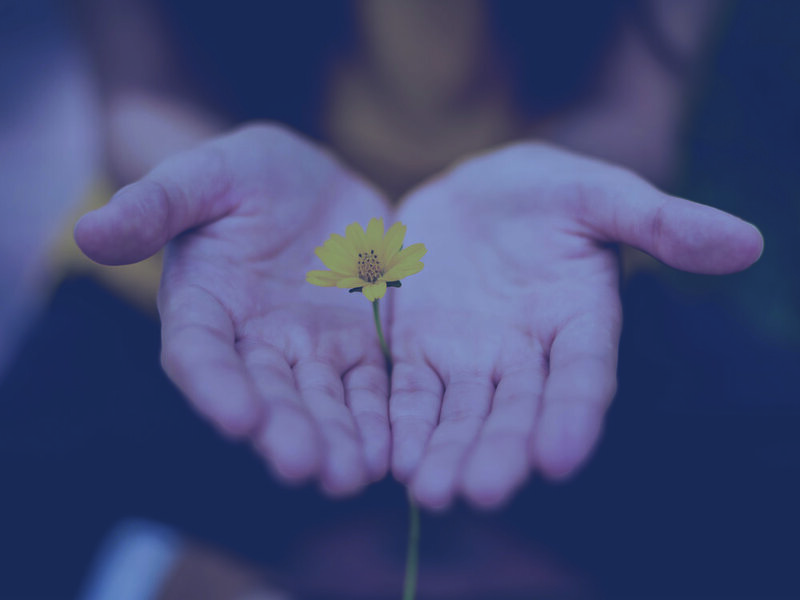 While we may recognize that maintaining social well-being is beneficial to our health and overall wellness, it can be difficult to know what steps to take to grow in this area. Social relationships are all different and complex, as is each individual. However, we all can improve our social well-being through interaction, play and forgiveness. Take time to nurture your relationships with family, friends, congregation and co-workers. Whether it is a phone call, writing a letter, or setting aside time to be together, little steps of intentional interaction can help a relationship blossom, and in turn improve your social well-being. As you seek to build new friendships or reconnect with old pals, keep in mind that relational growth does not happen overnight. A recent study in the 'Journal of Social and Personal Relationships' found that, on average, it takes about “50 hours of time with someone before you consider them a casual friend, 90 hours before you become real friends, and about 200 hours to become close friends.” Simply put, relationships take time and intentionality. When was the last time you really played, let loose and got swept away in some joyous fun? For many adults, it has been a really long time since we have let our imaginations run wild and engaged in a playful act. Dr Stuart Brown, the founder of National Institute for Play, believes that we are wired up for play and that we grow through play. Play energizes us, relieves tension, births optimism, and catapults us to new behaviors and ideas. In his famous TED talk, he reminds us that “the opposite of play is not work, it’s depression.” With all of that in mind, play can be a catalyst for creativity, joy and relationships. Give yourself permission to play- tell a joke to a friend, join a team, work on a puzzle with a family member, or hang out with your pets. Let yourself play and laugh with others, and you are bound to feel a closer connection to them. Martin Luther King Jr. once said, “We must develop and maintain the capacity to forgive. He who is devoid of the power to forgive is devoid of the power to love.” If we want to develop healthy and loving relationships, forgiveness is an inevitable part of it. According to Kathi Norman of the University of Pennsylvania, failing to forgive has negative outcomes such as increased anxiety, depression, elevated blood pressure, vascular resistance, decreased immune response, and more. She concludes that “forgiveness, then, is a pathway to psychological well-being and health outcomes.” As we forgive, we free ourselves up to love others and to be loved. In forgiving, our wellness physiologically, physically, relationally and spiritually can all be improved. As we extend grace to others we are reminded of the incredible grace that has been extended to us. Lord, help us to love like we have been loved, and forgive the way we have been forgiven. Open our eyes to the great blessings we have in one another. We long to experience freedom in our laughter, unhindered joy in our play, and health in our relationships. Amen. Special thanks to all of our guest writers and Portico for their contributions during this Lenten journey towards health. As we continue our lenten journey towards healing and wholeness in Christ, we turn our attention towards spiritual health. Using the Wholeness/Wellness Wheel as our guide, we have been exploring the various areas of health over the past weeks. Yet, this week’s focus is unique. Spiritual wholeness is not just another spoke on the wheel, but rather encircles all of the other areas of wellness. According to the creators of the Wholeness Wheel, living a centered life focused on God affects each aspect of our well-being. We have the opportunity to turn to God for strength as we seek to live well in Christ. By nurturing our relationships with God through prayer, devotions, worship, nature, art, and music, we can take steps towards spiritual health. You will never regret taking time explore who you are and to know whose you are. As shown on the Wholeness Wheel, spiritual well-being is woven in through every area of our lives. At the center of the wheel, we are remember that we are a new creation through the waters of baptism. Christ lives in us and through us and calls us out to love and serve one another. What does it mean to be a new creation? We have received the gift of grace through Christ, who came that we might have abundant life. Abundant life is living as a new creation, being grounded and centered in Christ, and loving our neighbor as ourselves. Living centered, we’re best equipped to do Christ’s work in this world. Being spiritually grounded enables you to find balance in other dimensions of the Wholeness Wheel. Nurturing your relationship with God through daily prayer or devotion can be a great first step. Build rhythms into your daily life that provide opportunities to be in tune with Him. Create a space that invites you into prayer and time of devotion: a room, corner or favorite chair. Find the time of day that provides you with quiet, private time with God . Taking time to center yourself can offer the respite and inner strength a healthy person needs. 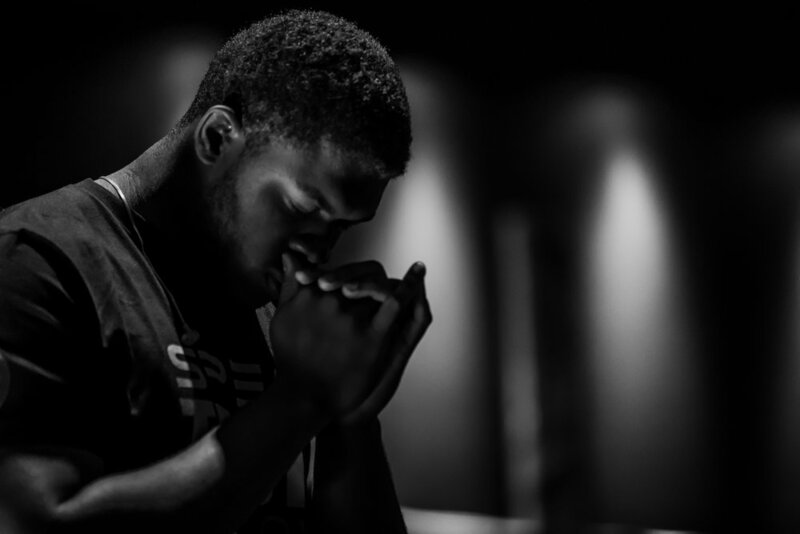 As you seek to make space in your life for God’s renewing presence, meditation and prayer practices can be helpful tools. For those that live locally, we create space for stillness, quiet, and the practice of these disciplines at our monthly First Wednesday gatherings. Just last week, we explored prayer focused on our breathing. For those that missed it or would like to further explore similar practices, try out the video below. Another practice to explore is meditation. To encourage self reflection, try mantra meditation. Mantra involves repeating a phrase or thought of God while keeping your mind focused on God. This is a way to center and ground yourself, prepare your mind for a meeting or relax before you go to sleep. No matter what you choose to do, know that we are praying for you on your journey towards spiritual health. You are not alone. Finding others that are also on this journey is an important part of growth. At Saint Luke, we believe that we grow best in community. If you are near the Devon, PA area, feel free to reach out to us. All are welcome, no exceptions. Looking for a church near you? Check out churches in your area. May Christ make His home in your hearts as you trust in Him. May your roots grow down into God’s love and keep you strong. In Christ, may you find the love you desire, the healing you need, and the wholeness you crave. Amen. Special thanks to Portico, a ministry of the ELCA for many of these great insights and tools to help us lead healthier lives for the sake of the world. As the season of Lent continues so too does our journey towards healing and wholeness in Christ. Recognizing that wellness is multi-dimensional, we have been exploring the various areas of well-being. During the first week we took a closer look at vocational wellness with the help of Sparky and last week Amanda guided us through an exploration of emotional well-being. This week we continue our series by taking a closer look at financial wellness. Money is often a topic that people feel guarded about or uncomfortable discussing. Yet, if we avoid learning, examining, and growing in this important area of our life, other areas of our well-being will be affect. According to the America Psycological Association, “Concerns about money, work and the economy top the list of most frequently cited sources of stress.” This stress is bound to impact our health, relationships, and/or emotional well-being. Luckily, we do not need to stay in that place. With God’s help, we can pursue wellness in all areas of our life, even our finances. Let’s journey together. According the designers of the Wholeness Wheel, a learning and discernment tool that illustrates multi-dimensional health, “being financially well involves making decisions based on our values, as reflected in the way we save, spend, and share. Tending to one’s financial well-being in this way requires us to be resilient, generous, and focused on sustainability.” Financial health is a marathon, not a sprint. Identify Your Values & Priorities"
You’ve may have heard the verse in the Bible that says, “For where your treasure is, there your heart will be also” (Matthew 6:21). Or perhaps you have heard other quotes related to the connection between our money and our values or priorities. It seems these areas can be closely connected. Identifying what you value can guide your financial journey. When we choose to organize our financial lives to focus on resilience, we are financially well. We cannot control the vagaries of the economy, the viability of our congregations, or the health of those we love, including ourselves. Things happen. Our most deeply held assumptions and plans can be disrupted in a moment. That’s why positioning ourselves to be resilient is so powerful for our well-being. Because if we trust that we can recover from anything that comes our way, if our objective is not a bank account total, then we are freed to be generous with the world around us. If we can trust that “God will provide” because we know our financial house is in order and our basic needs can be met, then we can set about to be agents of God’s provision for others whose basic needs may not be met, whether our currency is time, talent, or treasure. Many of us have not been taught the basics of personal finance. As stewards, perhaps we are called to enter into that world far enough to free ourselves for generosity. Sometimes, being faithful is about doing the math. Perhaps a step towards health includes reaching out to a trusted friend or even a financial advisor. It is easy to earn and spend money without much thought. It is often such a normal part of life that it can become automatic. However, pausing to think and pray about your financial situation can help you take a step in the right direction towards financial well-being. How does the way I live my financial life reflect my own deepest values? In what areas is my financial life not well aligned with my values? “Financial health is not about being rich. It’s about being resilient.” How is this true in my life? What have I done to improve my financial resilience? What kind of a financial example am I? What kind of financial legacy do I want to leave (think in terms of financial behaviors rather than dollar amounts)? How does caring for your financial well-being affect other areas of your life? Great Provider, we praise you for all that you have given us, recognizing that every good gift comes from You. Teach us to manage our blessings with wisdom, resilience, and generosity. Use us as a conduit to share your love with the world around us. Amen. Ever wish you were healthier? Long to live a more balanced life? Desire a sense of wholeness? This Lent, using the Wellness/Wholeness Wheel as our guide, and trusting that our baptism is at the core of all healing, we are exploring health of body, mind and spirit. Last week Sparky Lok shared about vocational wellness. This week, we continue our journey with Amanda Heintzelman as our guide, leading us into an exploration of emotional wellness. Being emotionally well will help you live life abundantly. It may not be an easy path, but it is worth it. Let’s journey towards healing and wholeness together! 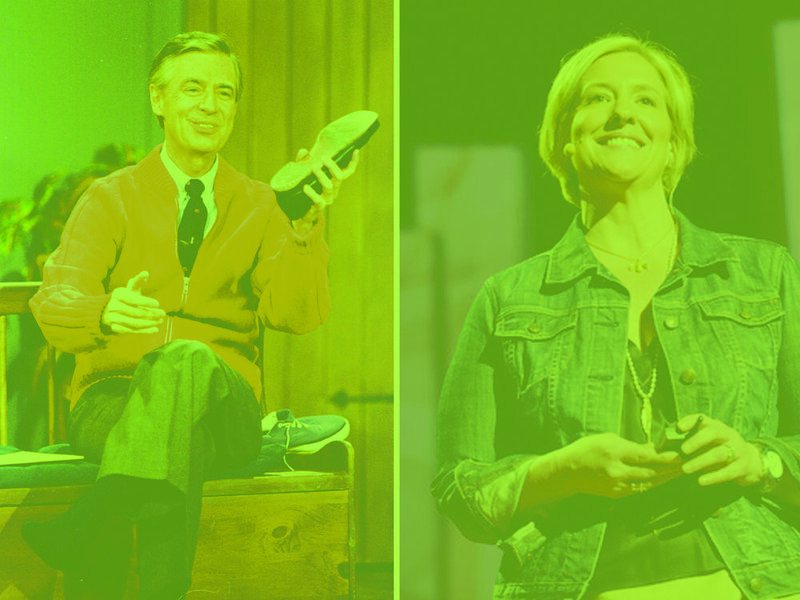 Pretty much everything I know about emotional wellness I learned from Mister Rogers and a vulnerability researcher at the University of Houston, Dr. Brene Brown. I’m not going to be able to do justice to all the material and insights from a 31 season 865 episode legendary children’s TV series and a New York Times best selling author, academic, researcher, and viral TED talk speaker in one short reflection, but I would like to share some of their thoughts. I particularly want to focus tonight on what I would consider to be public enemy number 1 to our emotional wholeness, and that is shame. 1) “We all have it. Shame is universal and one of the most primitive human emotions that we experience. The only people who don’t experience shame are those who lack the capacity for empathy and human connection. Here’s your choice: ‘Fess up to experiencing shame or admit that you’re a sociopath. 2) We’re all afraid to talk about shame. Just the word is uncomfortable. Shame is often confused with guilt, but there is a very important distinction. Guilt says “I’ve done something bad.” Shame says “I am bad.” You see, guilt can be a constructive emotion that drives us to apologize, make amends, change our behavior, and grow. Shame on the other hand drives us to disconnect, hide, or lash out. Shame is “not a compass for moral behavior. It’s much more likely to drive destructive, hurtful, immoral, and self-aggrandizing behavior than it is to heal it. Why? Because where shame exists, empathy is almost always absent.” Empathy is the hallmark of emotional wellness. Just as your physical wellness can be measured by your blood pressure and heart rate, your emotional wellness can be measured by your capacity for empathy. Empathy is the antidote to shame. Loving God, you are our hope for healing and wholeness. Free us from the shackles of shame. Fill us with empathy as we recognize and honor our own feelings and those of others. In your love, lead us in the way of life abundant. Amanda married into Saint Luke 11 years ago when she and Matt got hitched. Fun fact: they were the first wedding reception hosted in the newly renovated Schlack Hall! Amanda serves on the worship committee, but is probably best known at Saint Luke as Mint's (the service dog) handler and Laura Jane's mom. The world is a broken place in need of healing. We seek health and wholeness in our personal lives, in our bodies, in our relationships. We all want to move from dis-ease into a life of wellness and God wants that for us too! During Lent this year, we are focusing on how we can find such health and wholeness in all aspects of our lives. Using the Wellness Wheel as our guide, and trusting that our baptism is at the core of all healing, we will pursue health of body, mind and spirit in various areas of life. This first week we are grateful to have special guest Sparky Lok sharing regarding vocational wellness. How does each of us discern what that personal calling is? How we should act when, with God’s help, that discernment comes? The Bible holds up lots of examples of how holy people sought, recognized and acted upon their callings to say a very big YES. The story of the boy Samuel in the temple holds up an example of how the mind and attitude of a trusting child reacts to a call from God, simply saying without deliberation “here I am”; “speak Lord, I am listening”. For those of us who feel a call to Christian education, the example of old Eli, with all his flaws and baggage, shows how a holy mentor, an elder in the faith, can be so important in helping such a youth to recognize and respond to a call from God. Later on, in answer to her cousin Elizabeth’s salutation, Mary, like old Hannah almost millennium earlier, sings a song of praise that’s so striking in its similarity. If poetry and song aren’t your strong suits, you can also say “Yes” to a vocation with your feet. Jesus’ other parent, the silent old carpenter, Joseph, the man of not few but of no words, answers his angels not with song, but with forbearance and with action (Matthew 1:18-24). Later on, as Herod the psychopath, resolves to kill the baby Jesus by any means necessary, good and faithful Joseph once again answers an angel’s warning with action and, again, without words (Matthew 2:13-15). The fishermen and the tax collector in our Gospel readings also answered Jesus call with their feet. Saying not a word but dropping their nets and setting aside their ledgers to follow Him. Are we all to drop our nets, so to speak, and forsake our families and all else that’s familiar as the disciples did? There are certainly some examples of high calling and ultimate sacrifice in our life and times. Dr. Martin Luther King answered his call to lead a non-violent movement, even revolution, for justice and civil rights in a thoroughly Christian way, ultimately and willingly paying the ultimate price for his vocation. I’m now reading a biography of theologian and Lutheran pastor Detrich Bonhoffer, and there too was a holy vocation, a life of devotion, and ultimate sacrifice. Bonhoffer, keenly aware of the Cost of Discipleship (the title of one of his great books), went willingly to his execution in a Nazi prison scant weeks before the collapse of that evil regime at the end of the second World War. Are we all called to vocations and sacrifices like these? I do not believe so. A few will answer a call to a life of ministry or mission in the Church, and a few will lead a life of complete devotion, to the exclusion of all else, and extreme sacrifice. It is truly wonderful when this happens, but I think that a Christian can easily fall into frustration and guilt if they believe that is the only standard that’s acceptable to God. No…I think that if we only let it, if we only acknowledge that our abilities are gifts from God, our faith as Christians can enlighten and ennoble the work that each of us does from day to day, here within the Church for sure, but also out there in the wider world, transforming what would otherwise be mere jobs, housework or child care into holy vocations, done to the glory of God. Recently, Pastor Sue distributed a figure called the Circle of Wellness or the Wholeness Wheel. Around the edge of this circle are arranged the many aspects of life in which we strive for Wellness. These are essentially the same as are highlighted by secular “Wellness Programs”, and the pursuit of those is truly laudable. But what changes everything for us here is what’s at the center of this circle- our Baptism as Christians. it’s that God has claimed us as His children. We have been sealed by the Holy Spirit and marked with the cross of Christ forever. Because of this, work that would otherwise ordinary, can become a true vocation in the Lord, one that bears witness to Him whenever we do it, whatever it may be, in God’s name. These days, the smallest acts of Christian love kindness and concern can transform a home or a workplace into something far better than what they were, even something extraordinary. May each of us go about our daily work or avocation recognizing the special light that our lives as baptized Christians can bring to them, and when that is done, let us each recognize the result, which is a holy calling, a holy vocation. Amen. Sparky Lok has been a member of Saint Luke since 1996. He teaches the 6th Grade Sunday School class, and is a member of the Mutual Ministry and Pastoral Sabbatical Planning Teams. You may also find him helping out as a Stephen Minister, at Feast Incarnate, or as a worship assistant on Sunday mornings. Earlier this month, Saint Luke had the opportunity to learn from Eastern University Psychology professor Tara M. Stoppa, Ph.D. on the often confusing topic of emotional intelligence of adolescents. Emotional intelligence is the ability to perceive emotions accurately and use emotions to facilitate thinking and reasoning. This is a difficult task for many, including young people. For those who are raising, working with or caring for adolescents, here are some tips for helping them navigate the often turbulent world of emotions. The word “adolescence” literally means: “to grow into adulthood.” This growing does not happen overnight. It truly is a process. Preteen, teen, and even young adult brains are still developing. 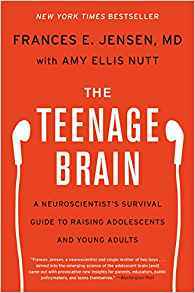 (Check out Sarah-Jayne Blakemore’s TED talk on teen brains!) The portion of the brain that controls “executive function” including weighing long-term consequences and controlling impulses is the last part to come to maturity. As teenagers are maturing it is not uncommon for them to be egocentric, to feel like all eyes are on them, or to feel like what happens to others will not happen to them. Older doesn’t always mean better choices. Even though older teens have the potential for higher order reasoning, this does NOT mean that they always use these skills when making every day choices. Why? Research says that experience matters. Emotions matter. And concern with perception also matter. They still need you, despite what they may say. Include adolescents in discussions about a variety of topics and use active-listening. Assist adolescents in re-evaluating poorly made decisions. Assist adolescents in developing emotional intelligence skills. How to Help Teens Weather Their Emotional Storms- A D.I.Y. snow globe full of glitter is an apt metaphor for the emotional chaos of the adolescent brain. How to Wrap Advice as a Gift a Teenager Might Open- Perfect for when parents have something to say that they really want teenagers to hear, these approaches can help get the message across. May the teenagers in our lives find peace in the emotional chaos of this world, grow in wisdom, trust your guidance, and know our love. Amen. Teenagers often get a bad reputation. There are stereotypes telling us that young people are entitled, lazy, self-absorbed, and reckless. While adolescence can be a turbulent time, there are many teenagers making the most of these years, choosing to pursue excellence and growth academically, socially, emotionally, and even spiritually. There are many incredible young people contributing to our churches and making a positive difference in communities around the world! At Saint Luke, we have recently added one of these great young people, Anna Donohue, as a Youth Councilor. We look forward to her sharing her perspective, ideas and insight with our Council, but Anna was also willing to share with all of us what it’s like being a teenager in the local church. I’ve always seen my local church first and foremost, as a community. No matter what else is happening in my life, I always know that my church will be there on Sunday morning, with all it's smiling faces, coffee, and doughnut holes. I was baptized here, communed here, and confirmed here. I feel a great connection to everything and everyone at my church, Saint Luke. Traveling to Houston and Kentucky with my church youth group this past summer, I was able to connect with a lot of people that I normally did not interact with. Not only did I meet people from all over the country at these events, but I also got to get closer to people within my own confirmation group. I had sat in confirmation class with many of these same students, but I really got to know them on those two trips. I am happy to say that it has improved the youth group and our relationships as a whole. Spending time outside of the Sunday school hour was really beneficial to the strength of the students in that age group. Now we are more than just classmates, we are friends. What has always been my attraction to my church has been its strong action in making a difference in the community. I have been lucky enough to travel with the ASP work trip for the past two years, making homes warmer, safer, and drier. This is always the most rewarding part of my summer. It's not very often you get to see your actions making a difference right before your eyes. Teenagers and children in general are known for being restless and hard to handle, but I think putting young people to work, whether it be sending them on a work trip like ASP, packaging meals, or making cards to send to students at Silver Springs Martin Luther School, really helps grow their faith and compassion for others. They don’t just hear the change they are making. They see it, and that has always been my reason for keeping my church, Saint Luke, in my life at the level it is. Thinking of Going to Church? 1. What’s your advice for the teen who has never been to church or who is contemplating visiting a local church? It isn’t as scary as it might seem. Everyone is really friendly and welcoming. They don’t expect you to walk in with the Bible memorized, and there isn’t any pressure for you to do something you don’t want to do. Whether or not you are at church for the first time or you are returning after a while, the members will most likely just be happy to see you. 2. What’s your advice for the parent of a teen who wonders if the church has anything to offer for today’s teenager? If your teenager is interested in going to church, research some churches in your area with your teen to figure out what best suits your family. Every church is different, so visit some churches in your area and help your teen and/or your family make the right decision for you. God of vibrant life, we praise you for teenagers. For their tenacity, creativity, and boldness. For their humor, energy, and courage. Give them passion and purpose, that they may be a generation that lives and loves fully for You. Amen. Anna is currently a Junior at West Chester East High School. She is involved in many activities at Saint Luke, including the Spark Student Ministries Band, Rejoicing Spirits, Hand Bell Choir, Small Group, and the Youth Evening Service. Love is in the air. On Valentine’s Day, we take time to celebrate the love in our lives. Yet love, and especially marriage, is so much more than chocolate hearts and roses. 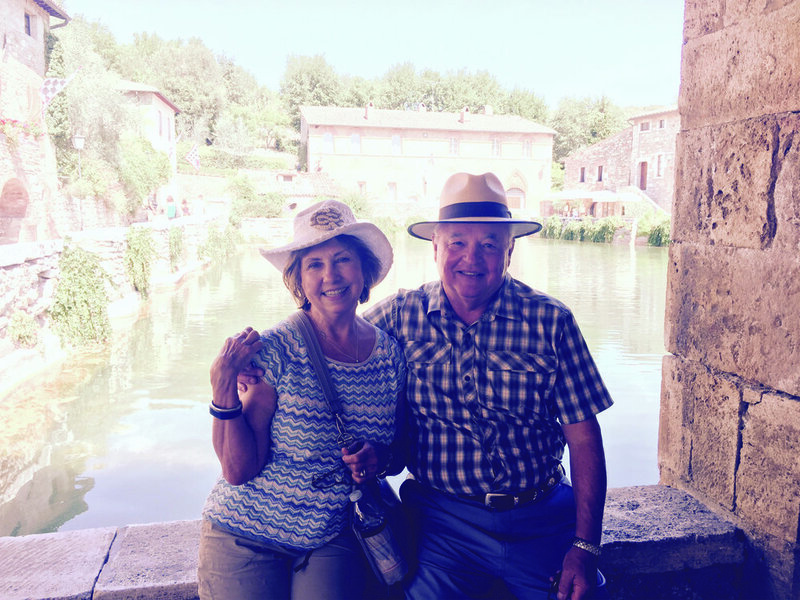 Today, special guest Donna Daly reminds us of some important life lessons that she has acquired during 50 years of marriage to her husband, Ken. Happy Valentine’s Day. A lovely friend recently referred to Ken and me as a “regular couple”. While we appreciated the positive title, we chuckled that we view ourselves as an “irregular couple”. We agree that we are still a long-term couple because we are somewhat a product of our generation, our families, and mostly because of God’s strong hand in our loving relationship. 1. Love isn’t always stars, butterflies and bells. While that magical spark is surely a gift from God to be cherished and enjoyed, true long-term love is much more. Not only is it honoring the marriage but also the personhood, the individuality of the other, as well as the self. In Ken’s and my younger days, the movie, “Love Story”, was popular. One of the famous lines is, “Love means you never have to say, I’m sorry.” Well, sorry movie lovers but Ken and I believe that saying “I’m sorry” and forgiving is important. We believe that each of us is a fallen person, redeemed by Christ’s love. Anyone can have an “off-day” or “off-time” in their lives when they aren’t their true selves. When that‘s happened to either of us, we have reminded ourselves to, “Hang in there, Charlie Brown.” Sharing feelings and perceptions while accepting another’s viewpoint is important and can be challenging. As Abraham Lincoln said, “Most people are doing the best they can most of the time.” I’ve learned the importance of good communication skills. And I’m still learning! As a dear, perceptive friend observed, Ken and I have learned “our dance” very well. We still giggle about the time early on in our marriage when, together, we made our bed. Ken observed my side of the bed with its wrinkles and bumps while I saw the imperfections on his side. While not mentioning it to one another, we simultaneously passed each other at the foot of the bed to fix the other person’s mistakes. Now, I let him make the bed while I’m the designated sheet changer. 😊 Obviously, this is a metaphor for focusing on “the splinter in your neighbor’s eye while overlooking the plank in your own.” Humor is so important, too! 4. It takes two wholes to make a marriage. We knew our marriage was a sacred vow when we received premarital counseling from our pastor and are even more convinced fifty years later. Because Ken and I wanted our marriage to last, we had to let it be a fluid, evolving relationship. While remaining faithful to one another, we learned that we each needed to have the freedom to be who God called us to be. As my wise Aunt Billie shared, “God is first in our lives and then comes our spouse and family.” A marriage relationship is much richer and more fun when two whole people form a union. It’s a great thing to support your loved one in happiness and success. 5. Grow together with God. Couples devotions, even if only for ten or fifteen minutes a day, as well as regular church attendance are very important to our marriage. We need and cherish the opportunity to be grounded in God’s love, grace, and community. It seems I overflow with clichés. Anyway, here goes another… “Come grow old(er!) with me, the best is yet to be.” Ken and I are amazed by how fast the years have flown. We feel that while our marriage hasn’t been perfect, here we are. As we like to say to one another, “You’re still the one!” We feel so blessed and look forward to making even more joyful memories. Lord of love, lead us in the dance of marriage. May we be grateful for the gift of such love and recognize the masterpiece you have created in our spouse. Give us the courage to apologize boldly and the grace to extend forgiveness generously. May every year our love for you and one another grow as our hearts proclaim “you’re still the one.” Amen. Minimalism is not just about having less material goods, but instead it is a larger shift in focus. Minimalism holds a focus on the aspects of life that matter most, and intentionally removes everything else that could get in the way. For each person, these valued aspects of life may be slightly different, but often areas such as health, relationships, passion, growth, or meaningful contribution rise to the top. Similarly, while the roadblocks to minimalism might vary from person to person, there seems to be a trend among the top things that get in the way of us focusing on the aspects of life that matter most. Some of the most common include material possessions and upkeep, money spending habits, time and energy spending habits, and taking on too much. For those looking to cut through the clutter in 2019 and start the year off refocused on what really matters, try out these 3 simple steps. Jesus said, “I came that they may have life, and have it abundantly” (John 10:10). Picture it. What does this abundant life look like for you? Perhaps make a list of some of the most important aspects in your life. Writing them down can be a powerful and clarifying exercise. Minimize/declutter/get rid of stuff & commitments that keep you from an abundant life. This requires bravery and determination, but you can do it. Remember that there is no “right” way to be a minimalist. It is prescriptive rather than restrictive. It is a lifestyle that can be adjusted for your personal context and current life situation. What might be of high value in this season may not fit for the next. Being thoughtful about what we use, how we spend our time, where we expend our physical and emotional energy, and where we spend our money will have an impact on our hearts. In Luke 12:23, Jesus shared, “For where your treasure is, there your heart will be also.” As we purposefully engage in the world, rather than mindfully consume, we will discover more opportunities for fellowship, stewardship, self-care, spiritual growth, vocation, and service than we ever imagined possible. Enjoy the freedom of more time, energy, and financial resources to focus on what matters most! Imagine what you might do to love and serve God and others with that extra energy, extra hour, extra financial cushion? You can make an impact in the kingdom of God. As Christians, we are called to be counter-cultural and we can strive to be minimalists in a consumer society—because we know that our life’s meaning is not wrapped up in material things, wealth, fame, fortune, or human accomplishments/accolades. It is through Jesus Christ, and what he did for us by dying on the cross and his resurrection, that our lives have meaning. We have one life (YOLO!). How can we focus on what matters most to love and serve God and others? God will help us. Let’s do it together! Grant us, O God, the desire to live simply, unhindered by the compulsion for more. Give us clarity of mind so that we might see what truly matters. Teach us to treasure what Your heart treasures, for we know that only in You will we find abundant life. Amen. Special thanks to Becca Ehrlich for her insight into Christian Minimalism. You can learn more about this great topic and Becca on her website. Special guest, Pastor Larry Smoose joined Saint Luke last month to discuss the important topic of finances and how we can help our children develop healthy, faith-based attitudes about money. “Our culture’s mantra about money is spend, spend, spend…Newest. Biggest. Better. More! Christianity’s mantra about money is save (Joseph principle -7 good years, 7 bad years so save), share (II Cor. 9:8), & spend (You will have enough – sufficiency). Did you parents talk about money when you were growing up? How were your attitudes and behaviors about money shaped by your mother, father or grandparents? How does your present financial status compare to that of your parents at this time in their lives? If applicable, how does your children’s financial status compare with yours when you were their age? What do you want your children to know/think about money? What will you do with your money as you approach the end of this life? 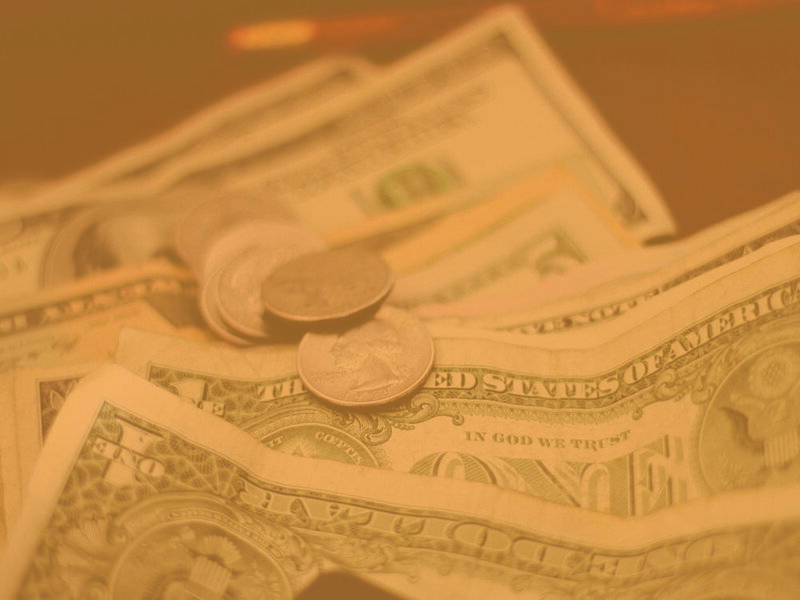 How can the church help you with any issues or concerns you have about money? 1. Explore the ELCA Resources “Kids, Money, & Stuff” - Looking to learn as a family or maybe with a group? 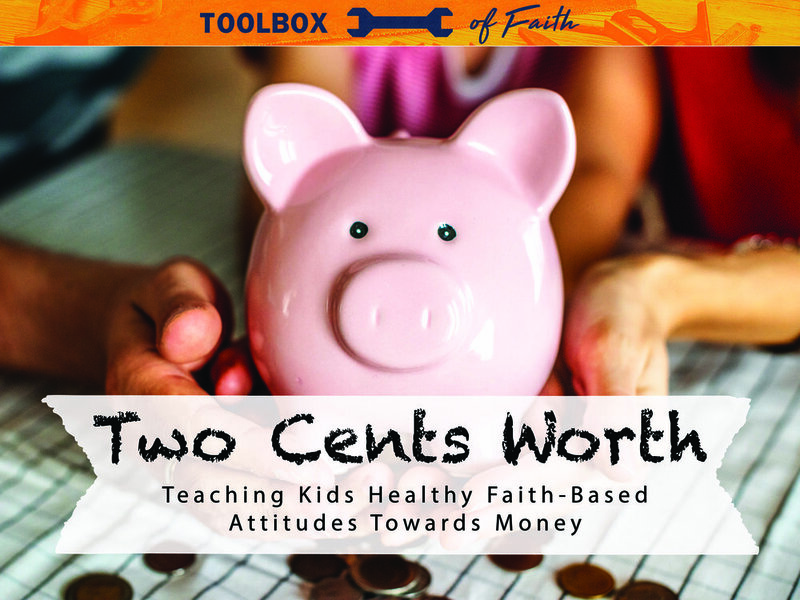 Check out the ELCA resource, “Kid’s, Money, and Stuff.” Not only is there a printable participant guide, but there is also a leaders guide to help you shape the experience. 2. Get a 3 Stage Piggy Bank - Consider making or purchasing a three section bank system for your kids. As they earn or receive money, they can see the three separate areas and designate their money as share, save, or spend. A simple search online will result in many options for various age ranges. 3. Look for a course on finances for your teen - Some schools and communities offer programs specifically on managing finances for teenagers. Adolescence is a great time for young people to learn about things such as handling money, banking, credit cards, phone financial apps, etc. Can’t find one locally? Check out Thrivent for educational articles in their magazine, local workshops, and invaluable information for all life stages. As our series “Toolbox of Faith” concludes, we reflect back on the great tools we have placed in our toolboxes and the ways they can be put to work in our daily life. In this final week, we are reminded that we are not meant to be alone in the work of building lasting faith. Together, with God and one another, we are sure to build something great! This week, Pastor Sue reminds us that often our most important tools are not even in our toolbox- they are the people we call when we need help. You can listen to the whole message here or an abbreviated version in this week’s Morning Drive. Pastor Sue asked us to consider with this week’s question. She reminds us that until we identify the barriers, we can’t develop strategies to get around them. If you need someone to process this question with, consider reaching out to a pastor, counselor, or friend. Together, we can learn to both accept and give help to one another. 1. Find a Listening Ear - You can always talk with one of our pastors. It is also possible to connect with a Stephen Minister, a trained lay person who becomes a confidential companion on your faith journey. Stephen Ministers don’t give advice, but listen, pray and with you look for signs of God’s presence. If you are interested in Stephen Ministry, talk with one of the pastors. If you do not live near Saint Luke, consider reaching out to a local church, a friend, or a counselor for support. 2. Seek Help with Sexual Assault - the National Sexual Assault Hotline 800.656.HOPE is always available to talk your call. You can also find a large variety of support online. 3. Remember the Benefits of Help - Sometimes we need a little reminder of all of the good that can come from asking for help. Check out this post to remind yourself of all the benefits. Let's see what God will build as we put our tools to work! As our series “Toolbox of Faith” enters week 3, we continue to fill our toolboxes with tools that help empower us to build lasting faith. Beyond the weekly message, each week here on our blog we share additional reflections and resources. This week, Pastor Matt explores the tool of expectation by challenging us to rethink how we measure success. You can listen to the whole message here or an abbreviated version in this week’s Morning Drive. Pastor Matt asked us to live with this week’s question. He encouraged us to think about it, pray about it, share about it with him online, and most importantly act on it. We look forward to hearing about what the “greatest success” looks like in your life and our community. 1. Build A Saint Luke Connection - We live out Jesus’ call to welcome children through our partnership and support of Silver Springs-Martin Luther School. Visit them online and see how you can be a part of the mission to serve and support children as they recover from crisis and experience the love that God intends for them. "Prayer is not so much about convincing God to do what we want God to do as it is about convincing ourselves to do what God wants us to do." 3. Visit Christian Simplicity: Conversations About God, Money and Trust - It is packed with knowledge, ideas, and inspiration for those looking to live a different way. Grab your toolbox! In this special series, we continue to fill our toolboxes with tools that help empower us to build lasting faith. Beyond the weekly message, each week here on our blog we will be sharing additional reflections and resources. Continuing our series, Pastor Sue introduced us to the useful tool of blessing. You can listen to the whole message here or an abbreviated version in this week’s Morning Drive. Pastor Sue challenged us to consider blessing as a tool to help us curb our tongues. We have all heard it said, “If you can’t say somethin’ nice…..don’t say nothin’ at all,” but we can do even better than that. We can choose to use our tongues to bless God and one another. Pause to consider this week’s question. Chat with a friend, spouse, or your children. If you are on social media, share your answer with our community. Together, we can put the tool of blessing to great use! Faith5 Bless - Receiving a blessing is a powerful experience, but the one receiving is not the only one affected. Those blessing also experience the transformational power of blessing. Faith5 includes the tool of blessing and is a wonderful way to incorporate faith into your daily life. Another exciting component of our Toolbox of Faith series are our monthly forums. 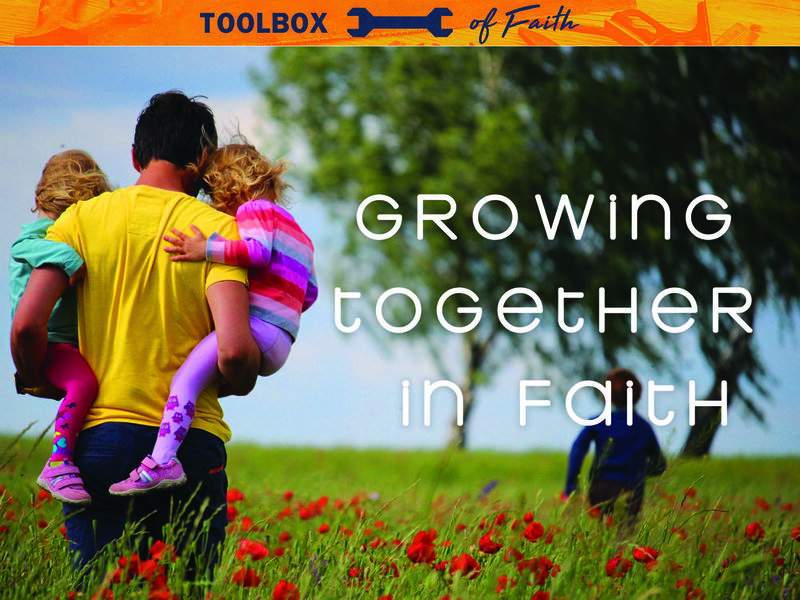 In this month’s forum, Growing Together in Faith, we explored the challenge of how to raise children in faith. There are other parents right there in the trenches with you, as well as others that have walked the path of parenthood and have wisdom to share. In this forum, a panel of parents from Saint Luke shared their practical ideas on faith-filled parenting. Make Faith Fun- There are so many practical ideas to make faith a fun part of your family’s daily life. Try a few out this week. Learn from other parents- Below are two families sharing about their faith practices. Listen to what they have to say and consider asking another family about the ways they incorporate faith into their daily life. It is hard to build something without the right tools. In this special series, we will be filling our toolboxes with tools that help empower us to build lasting faith. Each week, we will be sharing helpful reflections and resources here on our blog. We are so excited to see what God might build! Kicking off our series, Pastor Matt shared with us about the incredible tool of service. You can listen to the whole message here or an abbreviated version in this week’s Morning Drive. Pastor Matt reflected on an act of service that was done for him. While it occurred many years ago, it still has had a profound impact on him. Take a few moments to reflect on this week’s question. Consider discussing it with a friend over a cup of coffee or around the dinner table with your family. If you are on social media, take a moment to share your answer with us. Let us all be inspired by one another’s stories of service! Looking to explore the tool of service a little more this week? Check out these great resources. 1. Sign up today for Feeding Thousands- This is a great event hosted right here at Saint Luke. All ages can participate in packaging meals that help local food banks. 2. Use your voice as an advocate- Our voice is a powerful tool and one that we can use to help those in need. Many organizations have opportunities for volunteers to get involved in advocacy. ONE– Help Make Poverty History! 3. Learn more about Appalachia Service Project - This trip occurs annually at Saint Luke and is an incredible way to serve by helping make homes safer, warmer, and drier. Check out the website to learn more or better yet connect with someone who has participated. They have so many stories to share about their adventure with the tool of service and actual tools! 4. Get inspired- Listen to “Do Something” by Matthew West. Let his word’s inspire you as you consider who in your life you can serve. As summer begins to wind down, the days seem to get a little shorter, beach chairs return back to the dusty corner of the garage, pumpkin-flavored everything appears in stores, and the sound of school buses echo throughout our neighborhoods. Yet before we say good-bye to summertime, we want to enjoy one last Saint Luke Story. This summer, we have enjoyed a series called “Saint Luke Stories” featuring stories of how various members of our community found their way to Saint Luke and why they call it home. Thus far, we have featured stories from Marie & Jennifer, Ian, TJ, the DiSciascio family, and Claire. Today, we have the privilege of hearing from the Valentine family. Enjoy! Finding a church that “fits” your whole family can be a challenge. There are so many factors to consider. When the Valentine family relocated to Pennsylvania from New Jersey in the summer of 2011, they were looking for not only a church where they could build friendships and grow in their faith, but a place where they could contribute. One day while they were driving around town, they noticed a church at the corner of Conestoga Road and N Valley Forge. It was Saint Luke Lutheran Church. Having visited multiple churches in the area and not finding the right fit, Philip, Ruth, and their son Andrew decided to give Saint Luke a try and were so glad that they did. The Valentines recall their first visit with excitement. The church was full. Pastor Sue delivered a meaningful sermon. They felt comfortable in the service. On top of all that, Saint Luke offered something for every member of the family, at every life stage. Ruth shares, “We noticed a lot of kids and Andrew was 7 at that time and we were immediately drawn to the many children’s programs the church had to offer.” Yet, it was not only Andrew that found his place. Over the years, each of the Valentines have found connection, friendship, and meaningful ways to get involved. From a small elementary child to a now polite and humorous teenager, Andrew has grown up at Saint Luke and has very much been a part of the church community. As a child the kids programs enriched his life, and now as a high school student, he continues to find a place at Saint Luke. He helps out as an Acolyte during worship and participates in 2 Copper Coins, the Spark Student Ministry band. He also serves as a role model for the next generation of young kids growing up at Saint Luke by serving as a VBS volunteer for the past 3 years. While Ruth’s heart swells with motherly gratitude as she shares that “it is great to see Andrew involved in church activities,” Andrew playfully jokes that his mom is also happy that the electric bill is down while he is away from his video games. While his parents may not be invited to join in on the ASP trips just yet, they have found so many ways to be involved at Saint Luke. Ruth has made many great friends and served in the Sunday School program, Stephen Ministry, and the Connectors Team. Phillip greatly enjoys the participating in Men’s Breakfast gatherings. He shares the story of his involvement saying, “When I visited Men’s Breakfast for the first time, the men that I met reminded me of my Dad, who I looked up to. This got me interested in attending more regularly and getting to know more about them.” He found a wonderful community where men can learn from one another and grow together. Today, he helps organize the group, ensuring that more men can experience the same type of welcoming and encouraging community that he found. Week after week, the Valentines return to Saint Luke, each finding their unique place in the community. Ruth says, “Saint Luke is the perfect fit for our family.” They feel it can be a great fit for others too, regardless of who you are. Ruth goes on to explain, “Saint Luke is a very friendly and open congregation. They are very quick to accept diversity.” It is also a congregation that is always ready to lend a hand without any hesitation. Philip adds that it is “the ability to be open and to welcome all” that makes them most proud to call Saint Luke their church. They hope that more people will discover this warm welcoming community and that Saint Luke will continue to grow in its diversity, as well as incorporate environmental issues, a cause close to their hearts, in its future projects. The impact that Saint Luke has had and can have is perfectly captured in the closing story that Philip and Ruth shared. In the beginning of the summer, Philip’s nephew and family visited from California. Their family includes two little girls, ages 7 and 3. Together, the whole family attended Sunday service and the girls went to Children’s Church during worship. They had an absolute blast, greatly enjoying their experience! Upon returning home after service, the first thing the girls said to their dad was, “Dad, you need to find a job in Pennsylvania so we can go to the same church as Uncle Philip!” To the Valentines, there is no greater compliment that could be given to Saint Luke. Summertime is slipping by so quickly. As school supplies appear on shelfs, here at Saint Luke we are still savoring the season and some wonderful stories. Our series “Saint Luke Stories” continues, featuring stories of how various members of our community found their way to Saint Luke and why they call it home. Thus far, we have featured stories from Marie & Jennifer, Ian, TJ, and the DiSciascio family. This week, Claire Birkholz was kind enough to share her story of surprise with us. Enjoy! Over twelve hours from home and with hundreds of miles between Pennsylvania and her hometown in Alabama, Claire Birkholz is setting down roots and building a life as a young professional on the mainline. In addition to starting a new job, she has had to create a whole new life here in Pennsylvania, learning her way around, building new friendships, discovering new favorite coffee shops, and searching for a new community of faith to call home. She recalls the surprise she experienced upon her first visit with enthusiasm sharing, “I was surprised by how nice everyone was. I went to service and several people came up to me and said hello and wanted to know me, saying that they hadn’t seen me there before. It just made me feel really welcome and it was a really wonderful experience. It made me want to go again.” To top it off, that morning Pastor Sue had delivered an "amazing sermon." Claire was so captivated by Pastor Sue’s teaching that she decided then and there that she wanted to experience it more. She came back the very next week and Saint Luke has been her church ever since. Since arriving at Saint Luke, Claire has been grateful to not only be warmly welcomed by the “incredibly friendly” congregation at Saint Luke, but also to be developing friendships in Saint Luke’s young adults ministry. She enjoys gathering with other young people that value faith and want to make a positive difference in the world. 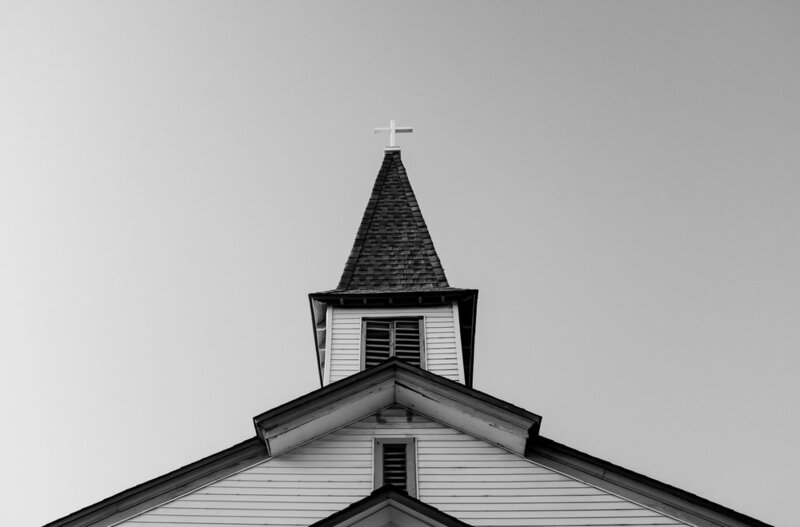 While some may think that Millenials are less interested in church, Claire shows us that perhaps they just need to find the right faith community. She explains, “As a young adult, I definitely think that the message that Saint preaches is really relevant to the millennial generation. It's important and unique to Saint Luke. It strikes a cord.” Each week she anticipates that she will hear Pastor Matt and Pastor Sue talking about “real life topics that are current and relevant.” She always leaves feeling both refreshed and having something to think about for the next week. Yet, another thing about Saint Luke that will appeal to young adults is that it is a church where faith is not just talked about, but is actually put into practice. One of the things that makes Claire most proud to be a part of Saint Luke is all of the mission work that is accomplished. She confidently shares, “It's good to know that I am attending a place and giving to a place that really contributes to the community, whether it's in the Philadelphia area with the homeless population or the greater community in Devon and on the mainline. I think we are doing some really impactful work.” She loves hearing about not only adults serving but also the youth serving in efforts such as the Appalachia Service Project. It has worked itself out for Claire. She has experienced such a friendly welcome as a newcomer to the area and is ready to warmly welcome those also looking for a place to belong. Open yourself up and you just might find yourself pleasantly surprised as Claire was. As we continue to savor the summertime, we continue our series “Saint Luke Stories” featuring stories of how various members of our community found their way to Saint Luke and why they call it home. Thus far, we have featured stories from Marie & Jennifer, Ian, and TJ. This story comes from Paul & Gretchen DiSciascio and their adorable kids. They are involved in Sunday School and Paul sings in the choir. Enjoy! It is a church community where the whole family belongs and is embraced just as they are. 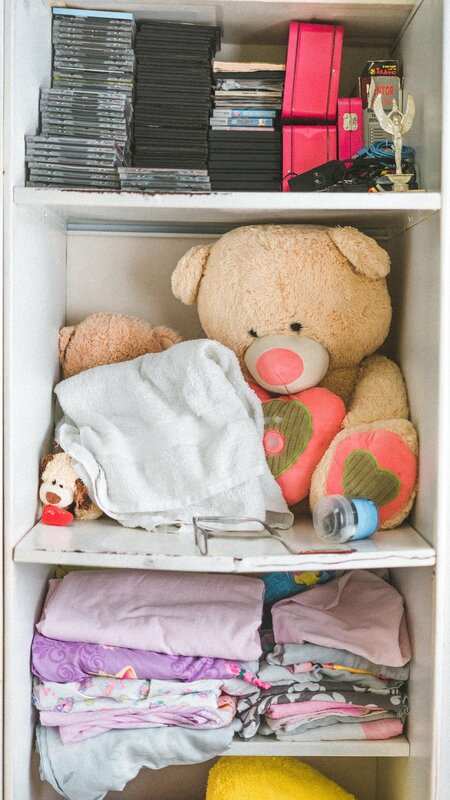 Gretchen explained, “As an exhausted parent of three, it's comforting to know that we can come as we are and that we are not only welcome, we belong. Saint Luke is home for us. Our kids feel safe and happy here.” The DiSciascios kiddos are a part of Sunday School and while Dylan looks forward to snack time and playing with his favorite teacher, Mrs. Seaton, Ewen also invites other kids to come “because they can learn about God and play and have fun!” Additionally, Ewen shares that his highlights of Saint Luke are “the Prayground and Children’s Church.” You cannot help but smile as Dylan chimes in agreeing about the love of the PrayGround, but also how he enjoys “sharing the peace with God.” Gretchen clarifies that he means sharing the peace with Pastor Matt, but for the life of them they can't get their adorable 2 year old to understand the difference. Since becoming members in January of 2017, on the same day that Dylan was baptized, they have had many wonderful memories like these. They have all found a place at Saint Luke. Beyond the involvement with their children, Paul shares the gift of his beautiful voice by participating in the choir. He shares, “I joined the choir because I enjoy singing and I like to participate in the worship service in that way. Having grown up in a Lutheran church, I was exposed to music in a positive way at a young age, and it's always been a part of my life. The choir here at Saint Luke has been incredibly welcoming and has really helped our family feel rooted here.” The choir at Saint Luke may be small but under the leadership of John Rea has done some really big things. Paul playfully jokes, “Just think how much more he could do with just a few more...cough...join the choir..cough..you know you want to.” For those that love to sing, you will find what Paul discovered, a welcoming group of people, passionate about music and helping others experience God through it. Come, babies, big kids, and toddlers in tow. Ewen will gladly show you his Sunday School class and invite you to join in the fun. Dylan will happily share the peace with you. Gretchen and Ada will extend a sweet smile, and Paul is saving you a seat in the choir. There is a spot for you and everyone in your family, no matter what your family looks like. Pour yourself an ice cold glass of lemonade and settle into your favorite chair. It is time for another story. This summer, we are enjoying a series called “Saint Luke Stories” featuring stories of how various members of our community found their way to Saint Luke and why they call it home. We have heard stories from Marie & Jennifer, as well as Ian. This week's story comes from Thelma Jacks. Thelma is the chair of the HR team, and also volunteers as a greeter and counter. Its been said that life is not about the destination, but the journey. Perhaps it should go on to say that it is about those who travel by our side. For Thema Jacks, affectionately known as TJ, her journey to Saint Luke is a tale of friendship. After that first Sunday, Saint Luke became TJ’s church and her dear friend Susan’s church as well. Finally, their journey had brought them to the same place of worship. TJ shared, “The first time I came I made up my mind. I said, “Ok, if this is the church you want to go, it is also the church Ill go to, because I like this!” TJ began attending worship regularly and began to volunteer, helping rake the church yard periodically. As time passed, she and Susan embarked on another adventure together as they began to co-chair the social ministry team. Since then, TJ has served in various capacities and participated in many programs. She is grateful for all that Saint Luke has added to her life, particularly the ways that it continues to help her renew her faith and grow in trusting God and His plans for her life. Yet, it has not always been an easy journey. As with all journeys, there are some bumps along the way. TJ reflected on her previous church experiences saying, “As I was trying to work my way through my Baptist tradition, I would have questions and sometimes the questions were answered in a way that made me feel guilty about not particularly measuring up.” Carrying that with her to Saint Luke, she was pleasantly surprised by what she found. She continued sharing, “What Saint Luke and Lutheranism has done is it has helped me to shed the shackles of guilt around questioning. Questioning is not doubt, but a process by which I learn more and become more steeped in my faith.” Her journey has been one of faith and questions, serving and being blessed, friendship and diversity. At Saint Luke, you can simply be you. Baptist, Presbyterian, Lutheran or none of the above. Any age. Any gender. Any ethnicity. Any intellectual or physical ability. Full of faith or full of questions. You will find what TJ has discovered- you are welcome here. As we settle into sweet summertime, we continue our series “Saint Luke Stories” featuring stories of how various members of our community found their way to Saint Luke and why they call it home. Our first story featured Marie & Jennifer. If you have not had a chance to check it out yet, you can read it here. This week, our story comes from Ian Roth. Ian recently graduated from Eastern University with a Bachelors degree in Middle Level Education. At Saint Luke, he sings in the choir and helps with Spark Student Ministries. It was a day just like any other day at Eastern University, but for Ian Roth it was the beginning of something special. Every September at Eastern University, there is an “Area Churches Day” offered as a way for students to get to know the churches in the surrounding community. Between classes, homework, athletics, and friendships, Ian made a simple decision that would change not only his life, but would create a ripple effect influencing many others. As he hurried over to lunch, he choose to stop by the Area Churches Day tent and take a quick glance around. During his time there he picked up a pamphlet about Saint Luke. Due to not having a car on campus, Ian had previously been attending various churches with friends. Limited transportation meant getting to Sunday worship was a challenge for a college freshman. While he enjoyed being able to tag along to church with some of his peers, none of the churches felt quite right for him. Something was missing. 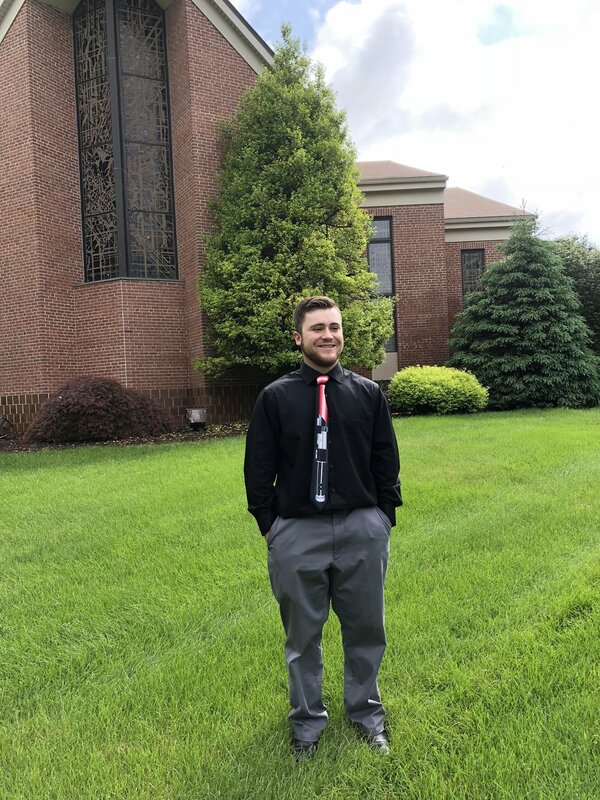 Ian explained, “I enjoyed worship at these churches but they were missing the personal relationships, friendships, and family-like atmosphere I desired.” Once Ian got a car on campus, he recalled that pamphlet and decided to give Saint Luke a visit. Visiting a new church, especially as a college student, can be intimidating. Yet, Ian took the chance and pulled up to Saint Luke one Sunday morning. Although he has been attending Saint Luke for 3 years now, he still describes his first visit with warm memories, vividly recalling details as if he had just experienced the joy yesterday. He shared, “As soon as I came in, I was taken in with open arms. People knew that I was new to Saint Luke. They genuinely wanted to get to know me and have conversation with me.” During the service, a long time member, David York, went up to Ian and personally introduced himself. It was this type of personal touch that has left a lasting impact on Ian. By the end of the morning, Ian had been shown around the church and introduced to multiple people, including the pastors. You cannot help but chuckle as he shares, “By the end of the morning, I had even become a member of the choir!” Ian had found more than he could have imagined. He said, “I felt loved, I felt welcomed, and I felt like I had found a group of people who would support me during my academic and spiritual endeavors at college.” He found what many college student need- a loving church family. To Ian, Saint Luke continues to stand out thanks to it’s genuine love for people, and Ian being a valued part of the Saint Luke family contributes greatly to that mission of love. It is not unlikely to see him laughing with another choir member before worship, chatting warmly with others while partaking in birthday cake in the narthex, or wacky bowling with the preteens from Club56. He, too, is a part of the ripple effect, influencing others with God’s love. Even this very week, Ian, an ambitious graduate student studying Multicultural Education, has pushed pause on his busy life to share his energy, kindness, leadership abilities and of course Christ’s love with a group of Spark Students as they attend the ELCA Youth Gathering in Houston. (You can see all of the amazing experiences they are having over on our Facebook!). When asked what three words best describe Saint Luke, Ian replied, “Welcoming... Personable...Family.” And the best part is, as Ian proclaimed, that it is a family where “all are welcome, no exceptions.” We could not agree more. Summertime is the perfect season to get swept away in a great story. We tell stories around the campfire, swap stories of our adventures, and devour stories poolside page by page. This summer, we have a new series called “Saint Luke Stories” featuring stories of how various members of our community found their way to Saint Luke and why they call it home. Our first story comes from Marie Lambeck and her daughter, Jennifer Atkins. 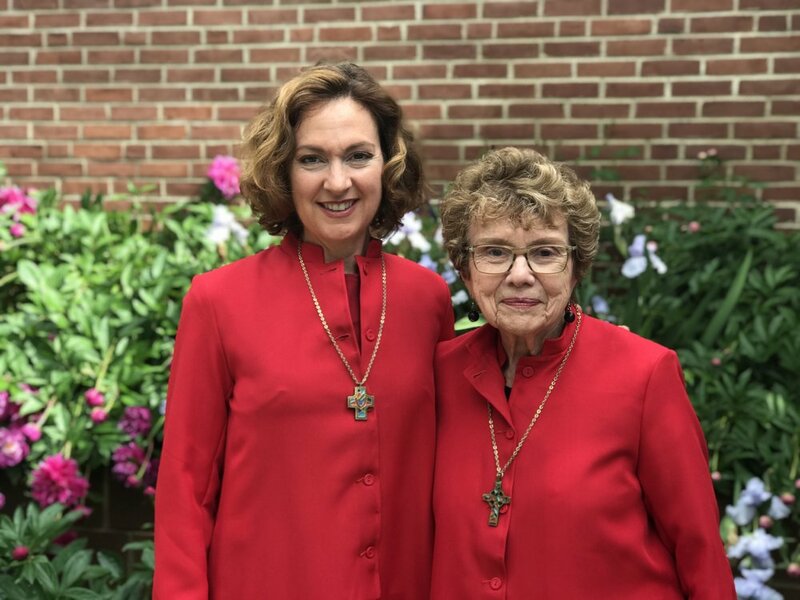 While they have both been involved in a wide variety of ways individually at Saint Luke, this mother daughter duo currently sings together in the choir. Enjoy! Three generations have been impacted by Saint Luke Lutheran Church, and it all began with the Yellow Pages. Marie Lambeck, who recently celebrated a special birthday, is not slowing down anytime soon, after all she is too busy volunteering in the church office, redesigning the bulletin boards, and helping with VBS! 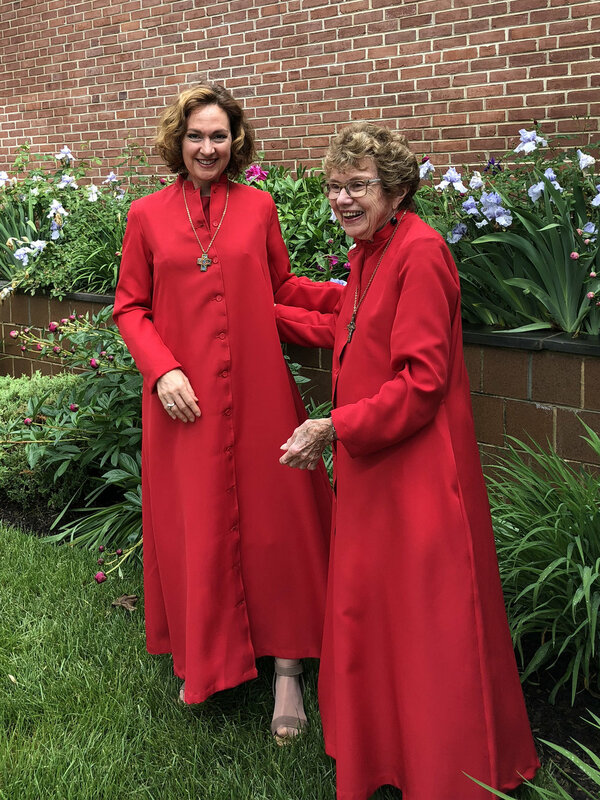 While now an active member of the community, her witt, vivaciousness, and humor shine brightly as she recalls the story of her initial journey to Saint Luke. Although she would claim that her story is “not very dramatic,” it is certainly interesting, spanning generations! Back in the 1960’s, Marie and her late husband, Jule, relocated to the Devon area from Boston. When asked how she found her way to Saint Luke, she lets out a warm laugh, and replies saying, “Through the Yellow Pages. You can tell what an antique I am because I don’t even think there are Yellow Pages anymore!” Marie, Jule, and their two young daughters, Christine and Jennifer, moved to Pennsylvania at the start of a week and before the first weekend had arrived, Marie knew that she needed to find a church for her family so she pulled out the Yellow Pages, flipped to “churches”, and gave Saint Luke a call. She spoke with a pastor, who gave her directions and on Sunday they attended. It was the closest Lutheran church to their home and for a young family close proximity was important. Having been raised in a Lutheran church, Marie recalls a both friendly and familiar atmosphere upon visiting. The similarities to their previous church in Boston provided them with a little extra comfort as they aimed to cultivate a new sense of home. After their first visit, the rest is history. For the Lambecks, Sunday school, worship, and involvement in church activities was simply a way of life. Each week, Christine and Jennifer would get in their pretty church dresses and off they went to Sunday School and worship with their parents. Reflecting back on her childhood experience of Saint Luke, Jennifer shares that one word sums it up well, “family.” She has been a part of Saint Luke for most of her life and enjoyed the Sunday ritual of spending time as a family, going to church and out to lunch afterwards. Some particularly special memories arise as she reflects on the outdoor Easter sunrise services she attended as a young girl. While she admits that as a child she likely did not want to get up at the crack of dawn, as an adult she looks back fondly on those early still mornings, worshiping with her family, and then partaking in the deliciously sticky pancake breakfasts afterward. And now, years later, her own daughter, Allie, too has grown up around Saint Luke, experiencing many of the same memory making traditions. This past Easter, Allie, now a sophomore at Drexel University, was at Saint Luke with Jennifer and they came across a tapestry near the children’s classrooms. As they paused to take a closer look, they saw a tiny little handprint from Allie, a symbolic representation of the once little girl who attended that very Sunday School. Like grandmother, like mother, like daughter, they have experienced life— weddings, baptisms, funerals, laughter and tears— within those walls. Marie and Jennifer will be there, waiting for you, ready to transform a stranger into a fast friend with the love, gentleness, and acceptance that comes from lives transformed by Christ.